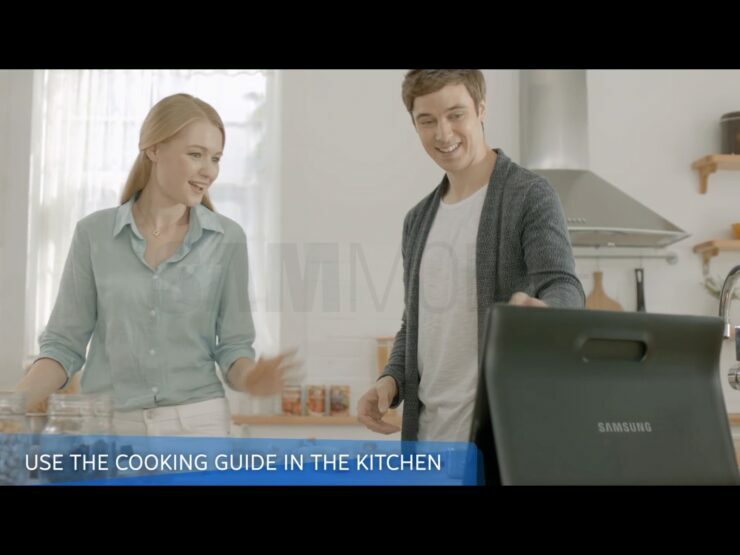 When it comes to mobile devices and gadgets, you’ve got to give Samsung a lot of credit. The Korean manufacturer produces devices with all kinds of specifications, features and sizes, ranging from flagship category to low end devices. That’s one of the primary reasons its on top in Global smartphone share with Cupertino tech giant Apple coming in second place. 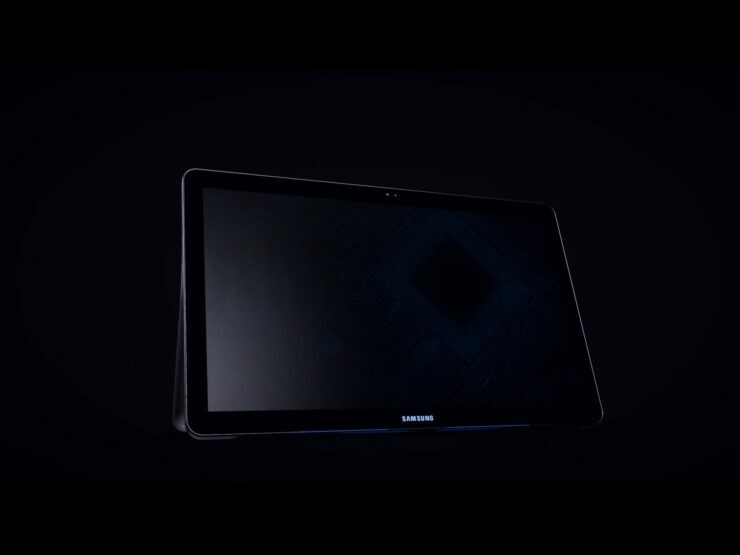 And when it comes to devices of all sizes, Samsung doesn’t seem to be backing down as we’ve managed to get our hands on some images of the company Galaxy View – an 18.4 inch monster of a tablet that Samsung’s been rumored to be working on for quite a while. 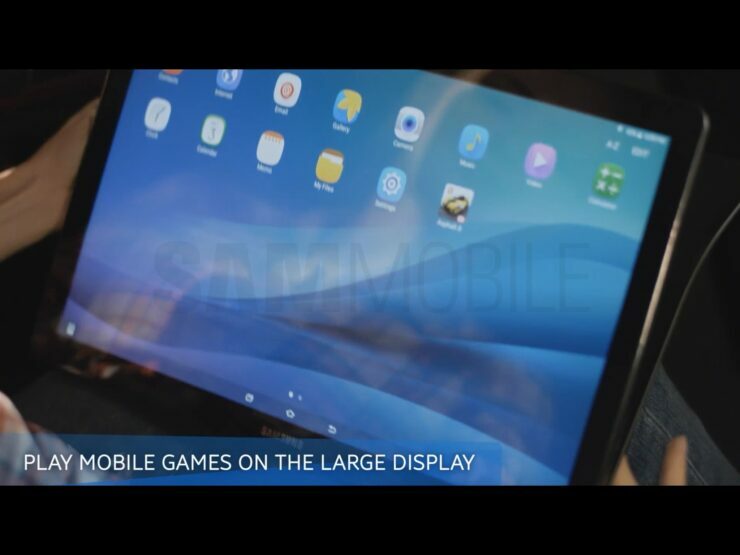 Taking a look at the images, we can finally see Samsung’s massive Galaxy View tablet in its full glory. 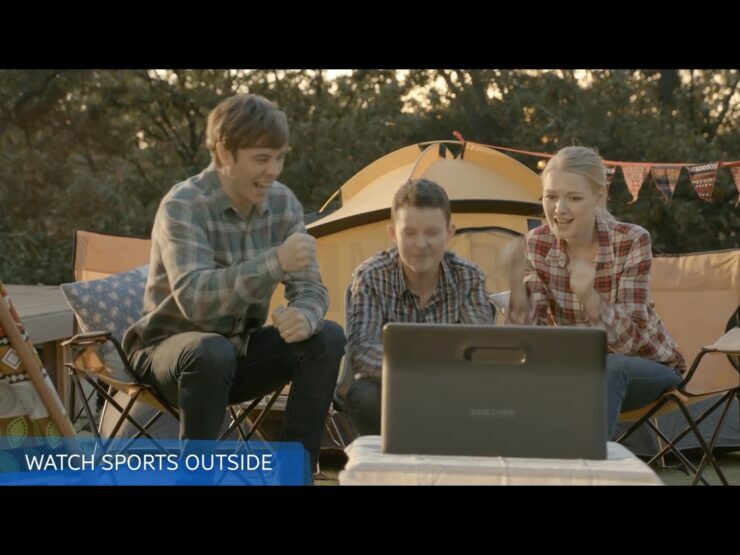 The promotional images show the device from nearly every angle. 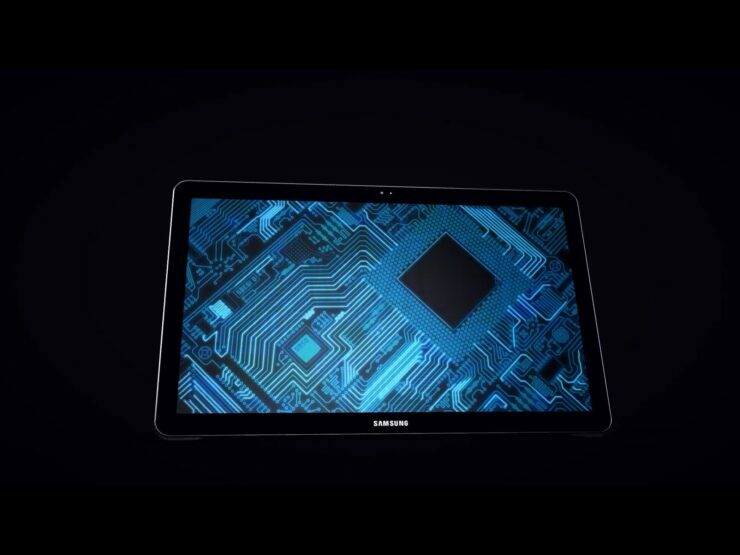 If you take a close look at the device’s front, you’ll see that the Galaxy View doesn’t feature Samsung’s traditional home button found on the rest of the company’s tablets. 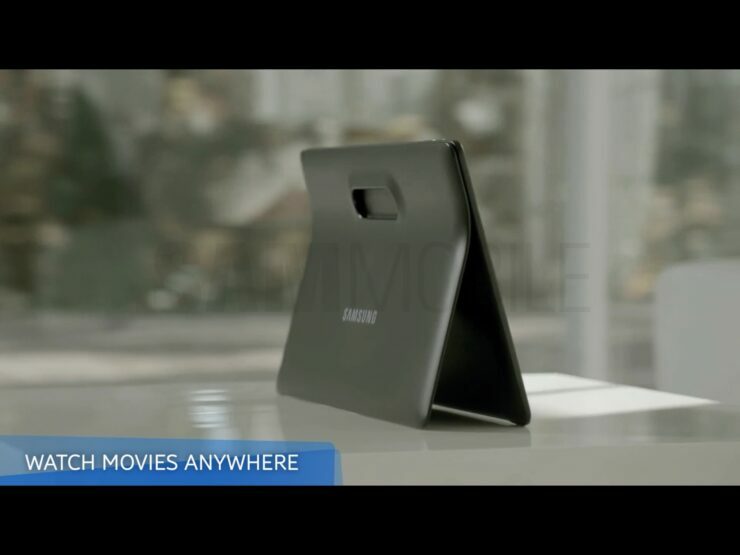 The Galaxy View is also rather sleekly designed with the device sporting a thin frame and what appears to be an all metal design. 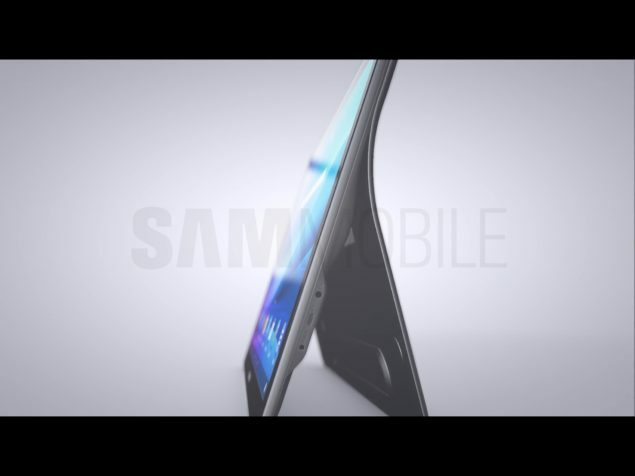 The bottom of the device has been designed in accordance with its kickstand that not only gives the Galaxy View some good support from the bottom, but also lends the tablet a fluid look in terms of design. 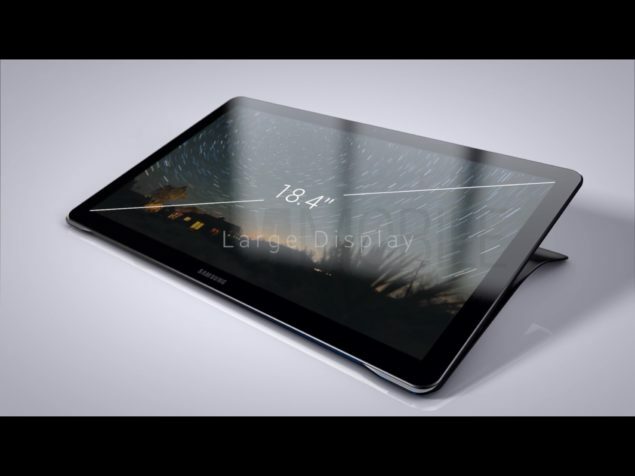 It’s headphone and USB ports seem to placed on the bottom right and the tablet comes with a front camera as well. The screen resolution can be Full HD if the promotional images are to be believed, which would make up for some good mid range specifications. 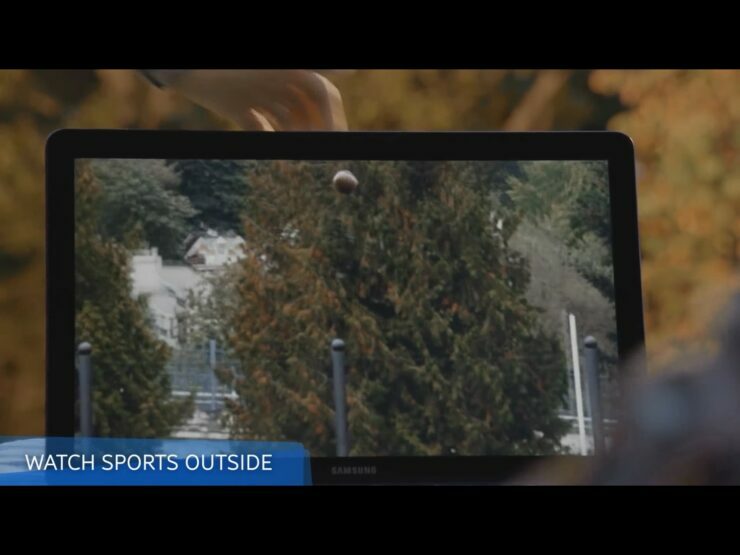 The Galaxy View’s supporting frame also seems to be elegantly designed, with the feature adding to the tablet’s overall design and complimenting it, rather than standing out on its own. 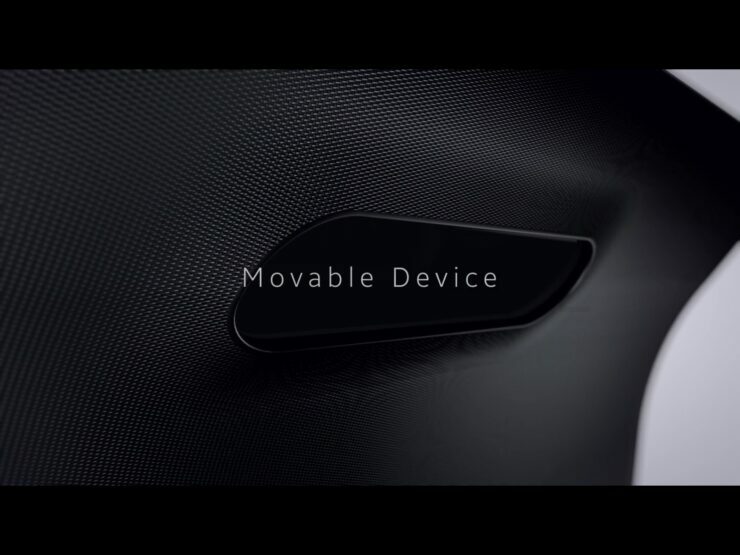 The stand also comes with it’s own handle that should allow users some leeway with portability, since 18.4 inches just might be too much to carry around after all. 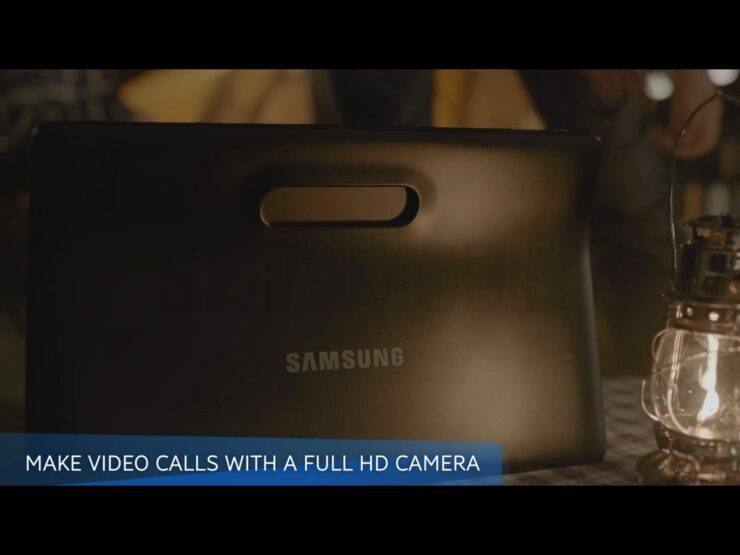 There’s no information on the Galaxy View’s specifications, but word on the street suggests that the device will be coming with mid-range specifications on board. 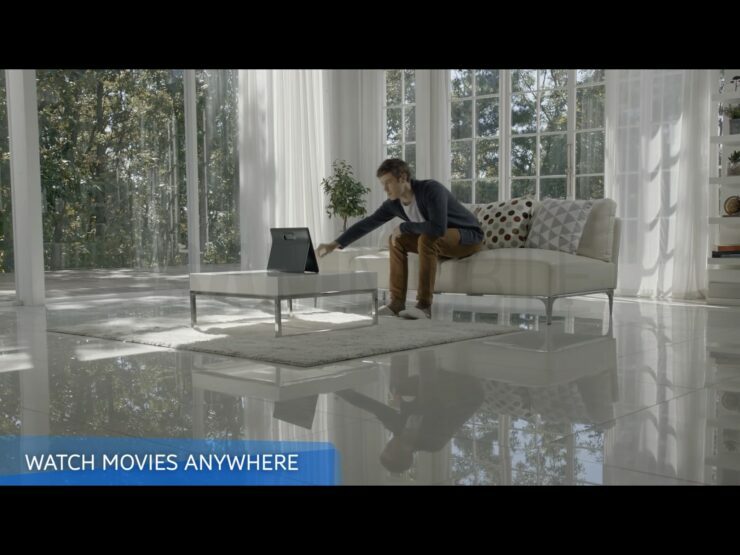 With the Galaxy View, Samsung might be able to target the home and enterprise markets simultaneously. 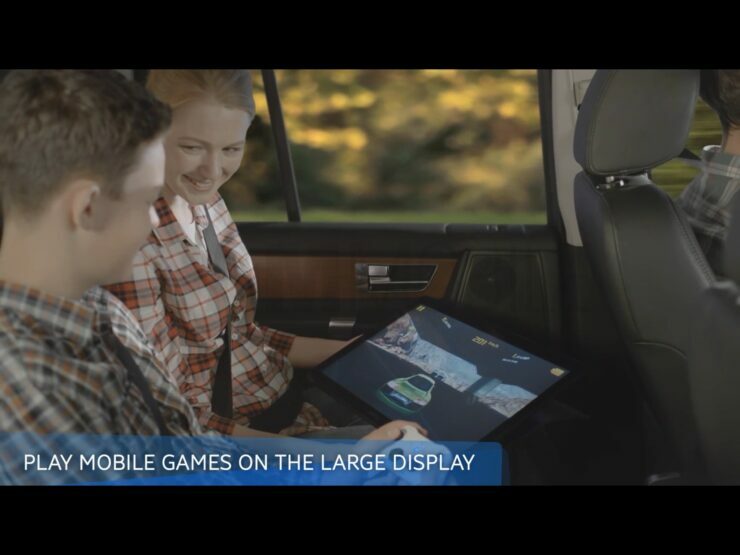 After Apple’s launch of the iPad Pro, a device catered primarily towards productivity, maybe new avenues will open up for tablets, given the overall market slump that doesn’t seem to be stopping. Stay tuned. We’ll keep you updated and let us know what you think in the comments section below. 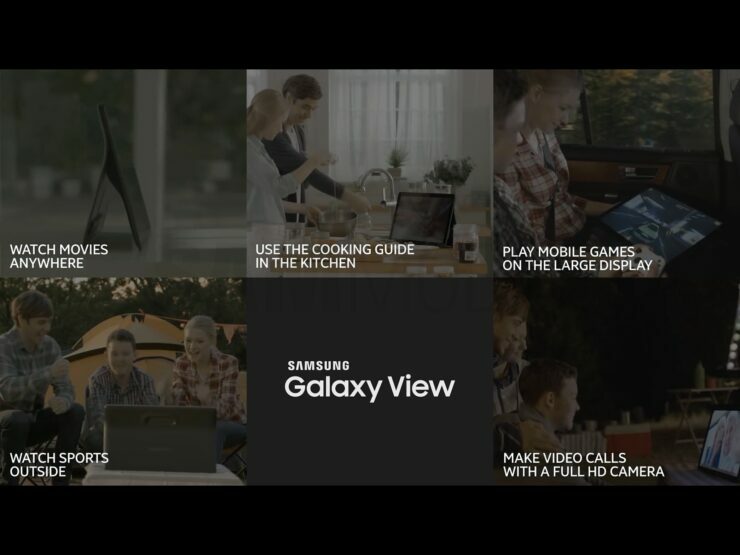 Galaxy View Gets Certified – Are We Seeing A Gigantic Tablet Very Soon?